Tag Archives: A Mister Stewardess Feature! Everything’s Big in Texas (Hey, Boys), and Houston — the fourth largest city in America, behind only New York, L.A., and Chicago — is no exception. They have a Ballet. They have a Fine Art Museum. They have a house sided with beer cans. We get to see none of these things, because they also have two airports, and we stay at the giant one, way out close to nothing. 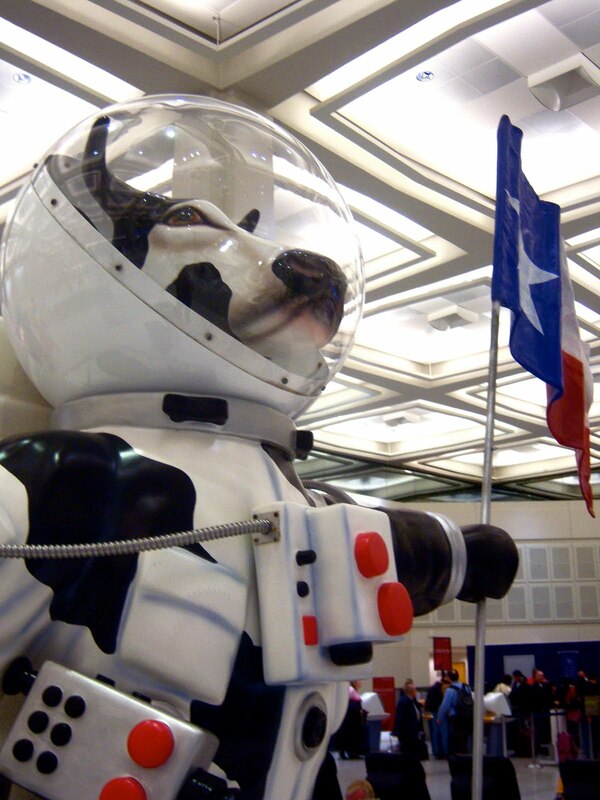 But what we do get to see, besides runaway electric carts, cute boys at the E Gates Starbucks, and the occasional Emirates A380, is this giant cow in a cow-patterned space suit planting a Texas flag on the moon. Conceptually, there’s kind of a lot going on here, what with Houston’s connection to the space program, and cows jumping over the moon, and if there’s a companion sculpture of a dish running away with a wooden chili spoon, it hasn’t been installed yet, but I still feel like this cow deserves her moment in the spotlight. I work for a conservative, business-oriented airline, where touches of whimsy are few and long-and-lonesome-Texas-highway far between, and I’m a sucker for a good non sequitur. For all that I love to complain about airport layovers and painstakingly enumerate the reasons I’d rather go downtown, if you’re gonna give me Popeye’s chicken, hot guys pouring coffee, and zany public art? Houston, we got no problem. It is my personal experience that Orlando has little to offer the traveler who is not 8 and counting the seconds to Disney World. Not that I wouldn’t have a ball at Disney World — the minute my youngest nephew is old enough to walk the entire park without need for a stroller, we’re there, budgeted to load up on churros and Phineas and Ferb souvenirs. But if you’re not on a theme park mission, or on a quest to eat every meal for the rest of your life at Chili’s, Orlando can be kind of a dud destination. When we used to layover at the hotel that seemed to host every college football team that came through town, entertainment was no farther away than your pool-facing balcony, but we haven’t stayed there in ages, and now there’s little to which to look forward. 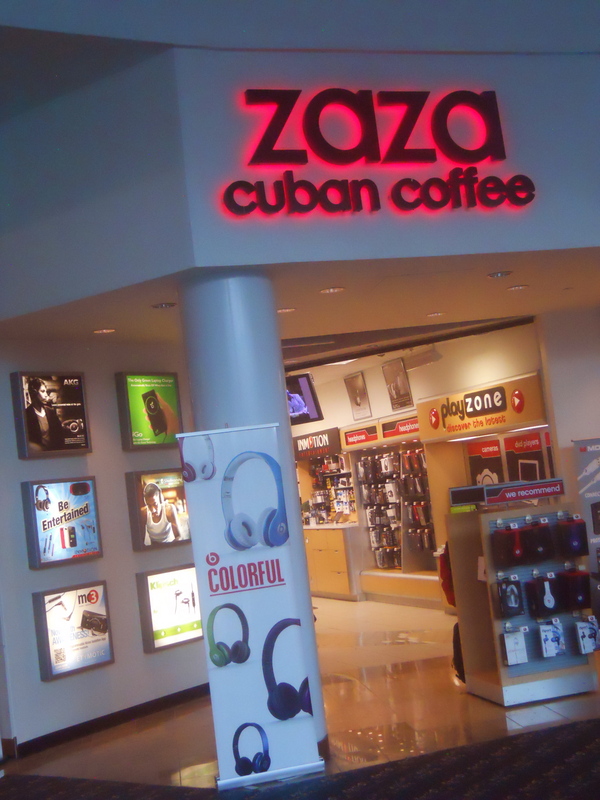 Except for ZaZa, the Cuban coffee oasis ensconced in the back of a stereo store at the Orlando airport (note the complete absence of anything even vaguely cafe-ish in the photo). While the prospect of an 18-hour layover at our airport-adjacent hotel holds little appeal, I thrill at the opportunity, such as I had yesterday, to pass through Orlando en route from Point A(re we there yet?) to Point B(e serious — we’re still not there?). Like so many of Life’s Pleasures (ahem! 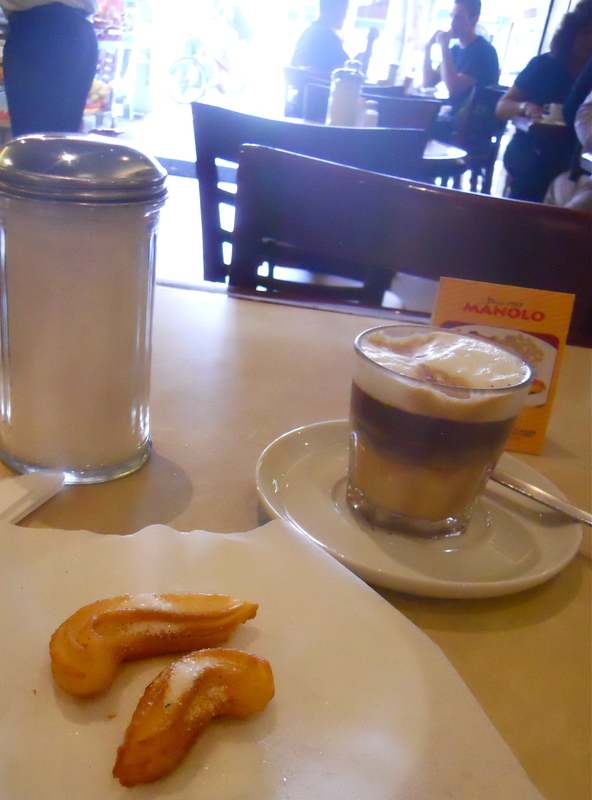 ), the coffee is hot and dark, strong and sweet. Almost inky — much like my favorite guy behind the counter, who wears a neoprene sleeve under his t-shirt to cover a tattoo that I am dying to see. I always smirk inwardly at the company policy that no doubt requires him to cover in this manner, drawing, as it does, ten times more attention to the fact that he’s got a giant tattoo than the tattoo itself probably would in this day and age. 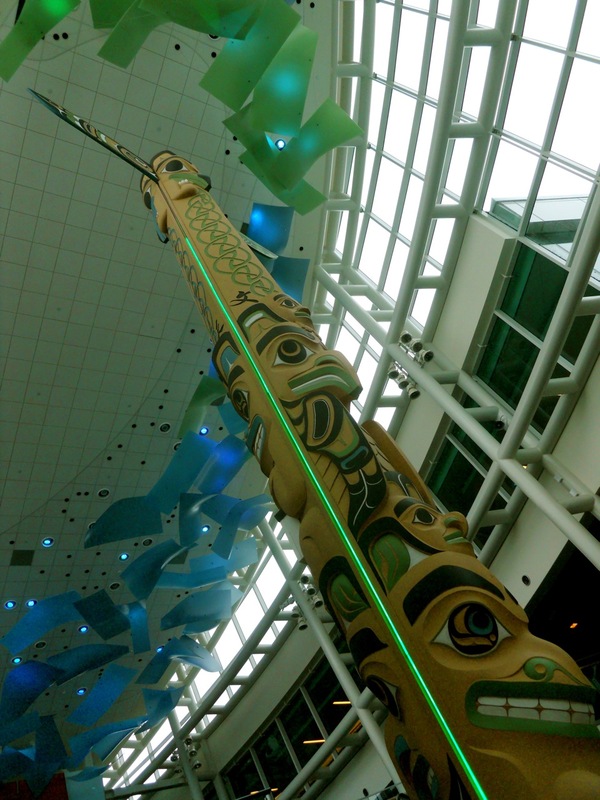 And so I wonder, is it especially “offensive?” Has it been deemed inappropriate for kids (with which this particular airport, obviously, is infested)? Is it overly sexual or violent in nature? He’s the nicest guy — a little bit cheeky (he always calls me Papi) but ever-ready to be of service, and he always remembers my order, even if it’s been months between visits — and so I wonder How bad could it be? Would it shock me with its theme? Amaze me with its artistry? Its lack thereof? Is his manager being overly officious, or is it really some kind of Big Deal? Maybe he’s become the draw. As much as my afternoon is improved when punctuated with a swirling shot of cane-sweetened oil slicky goodness (with a shot of milk, just because it’s fun to order a cortadito), here in the Town That Disney Built, where every place that isn’t a tragically predictable chain restaurant sells Tinkerbell t-shirts Ten-for-Ten-Dollars!, it’s well worth the three bucks to be served a cup of coffee — or anything, really — with a dollop of mystery. So, look who’s psychic: In the Lima edition of “City Code Snapshots,” I predicted I’d have a lot to say about Iowa here in this space, and where did I go on my very next trip? That state’s own capital city, Des Moines. Land of the Big Blond Bumpkin, and home of the Tastiest Hotel Cheeseburger in the U.S.A. The State Fair was on when we were there, which would ordinarily easily be able to provide me with a day’s entertainment — I love a good corn dog — but I never know where my next downtown Des Moines layover is coming from, and I was on a lunchtime mission. There are many compelling reasons to visit Peru, famed for its sky high ruins, ancient cultural traditions, and for bringing the world the potato, but our 25-hour Lima layover leaves scant opportunity to venture beyond the teeming seaside capital. Mind you, with 43 distinct districts and a population of 7.6 million, and a history stretching back to the sixteenth century, there’s still plenty to see and do in the world’s 40th-largest city. All of which any guide book from your local library can fill you in on. If it’s info on sights, tours, and local currency that you seek, get thee to Lonely Planet.com.